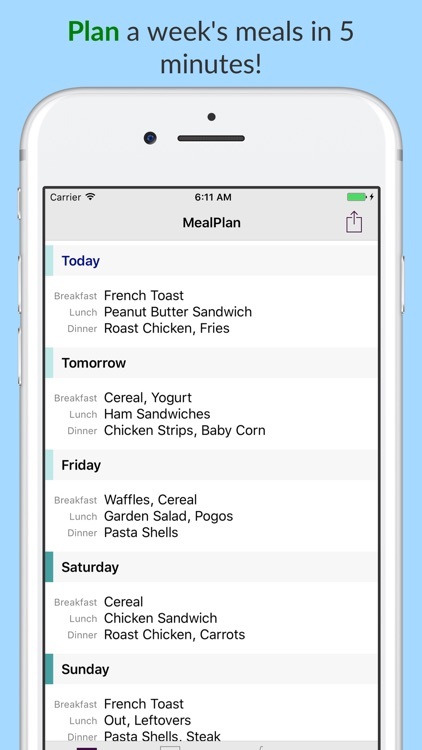 MealPlan+ by Fall Day Software Inc.
A simple planning app that lets you go from recipe to shopping to the table. by Fall Day Software Inc.
MealPlan lets you organize your trips to the store with recipes and meal planning. If you plan your meals ahead of time each week, this app will make sure you're never out of crucial ingredients. 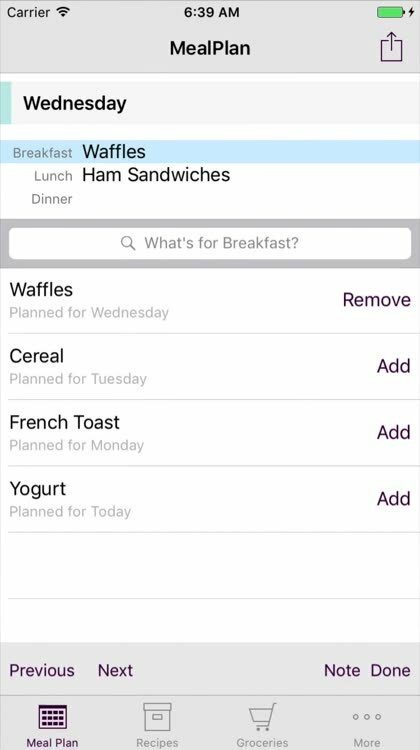 The interface is easy to use and lets you re-use recent meals again and again while still letting you create plans from scratch. On the iPad version of MealPlan, there's even a magic wand that will look at your plans for a few weeks and make suggestions as you go along. What a great idea! Being able to plan meals is super important for busy parents and professionals. Adding recipes and meal plans to a simple interface makes it easy to look like you've got it all together when it comes time for meals for yourself, your date, or the whole family. MealPlan is an easy, efficient way to plan meals and groceries. "I am thoroughly enjoying your MealPlan app!" "Super app!" 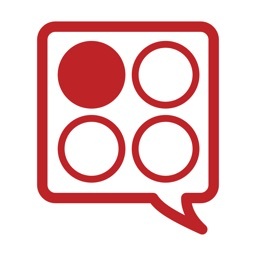 "Finally - a simple, easy-to-use menu planning app that looks good as well." Now with Apple Watch (watchOS 4) support! MealPlan is a weekly meal and grocery planning app that's focused on getting the job done efficiently. You use a simple interface to plan out meals like “Hamburgers on Thursday, Fish and Rice on Friday”. Recent meals are easily available or you can type in new items the first time you use them. MealPlan is a universal app, and will sync between your iPhone and iPad using either iCloud or Dropbox. Plan your meals on the iPad's big screen, and automatically have your grocery list with you on your phone. 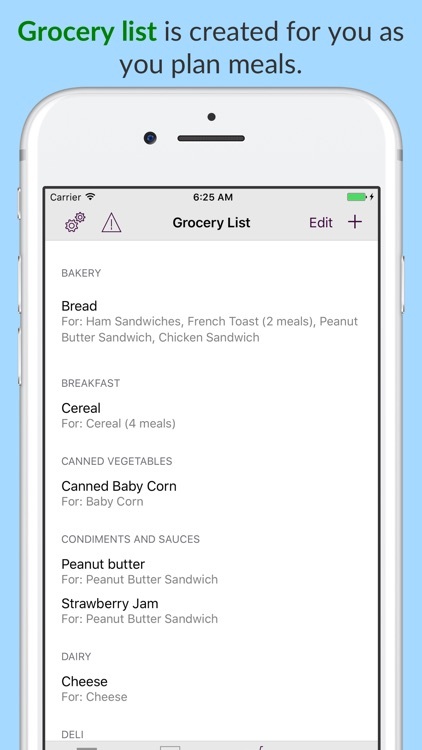 And access your grocery list from your Apple Watch. 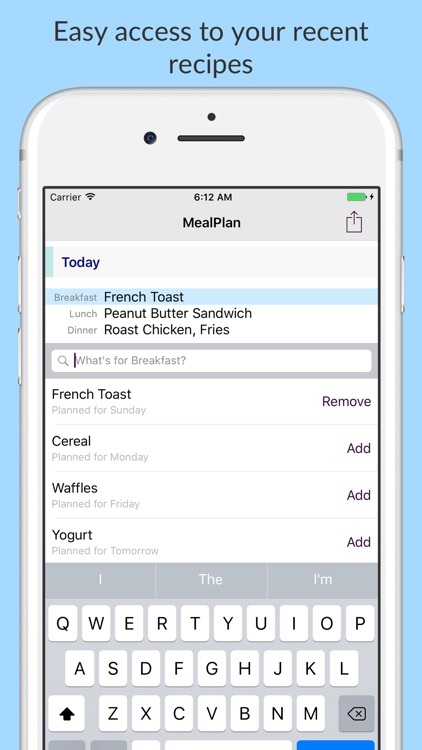 MealPlan creates your grocery list as you're planning meals. 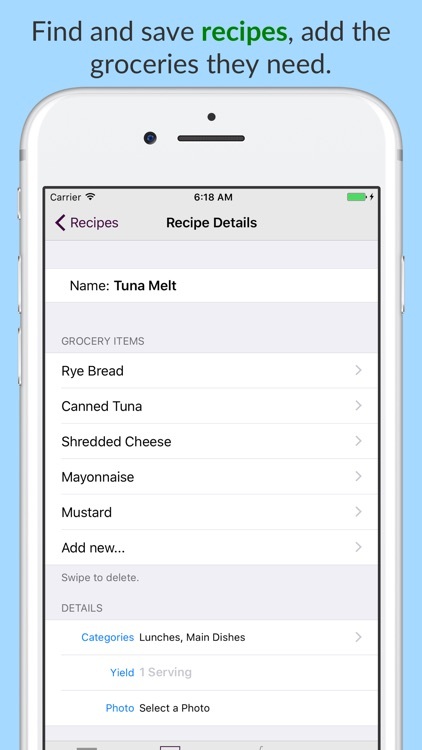 When you're done, tap the Grocery Basket to see the list, add new items, mark off items you already have, and then print it, email it, or sync it with your iPhone. This is a huge time saver! And, on the iPad, once you’ve used the app for a few weeks, the Magic Wand will help you quickly fill out subsequent weeks, with a quick suggestions interface. 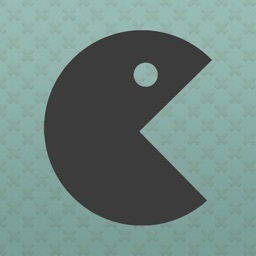 - Simple interface to plan out meals. 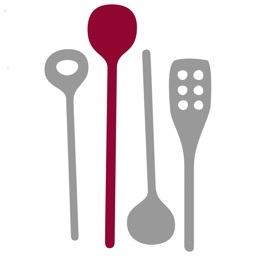 - Keep track of recipes and the groceries they use. 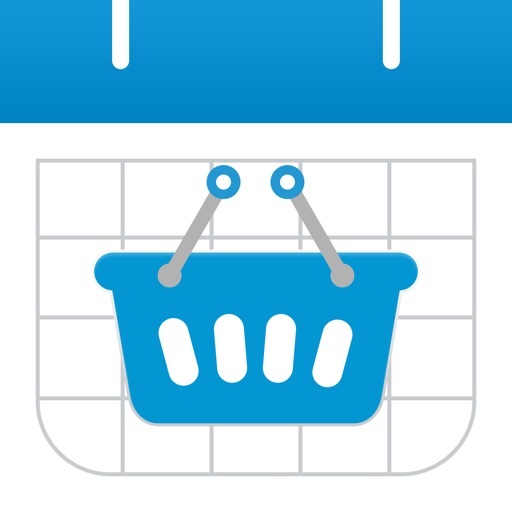 - Automatically generated grocery list based on your meal plan. 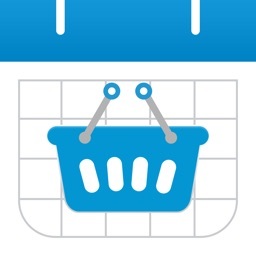 - Save grocery lists for later use (think "Party" or "Camping"). 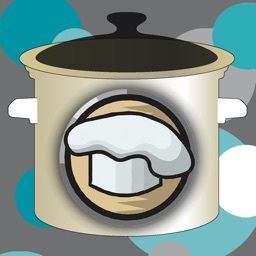 - Save a week's planned meals as a template to reuse. - Combined search/add box makes it easy to add new items. - Print out a week's plan to any AirPrint printer. 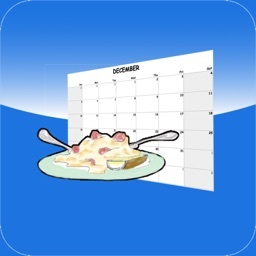 - Configure your own meals: Add snacks, or remove breakfast if you don't want to plan it. - Email a plain text summary of the week's plan. 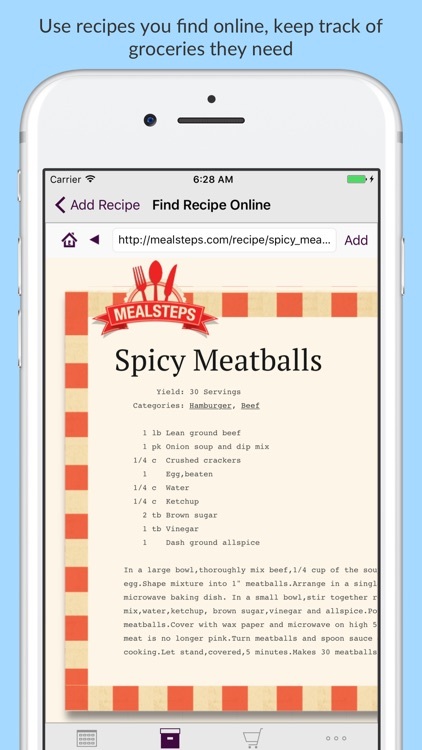 - Add a note to any meal item, including clickable links. - Dropbox sync for families with multiple devices and accounts. - Use Siri for groceries: "Add Milk to my Grocery List". "Before MealPlan, I’d buy food at the grocery store and then forget I had it .. a few days later it would go to waste. A few minutes every week standing in front of the fridge with MealPlan in hand will help you get the most out of what you have on hand. Plan it, print it out and stick it to your fridge!" Visit the website for more information, and a detailed walkthrough of what MealPlan can do. 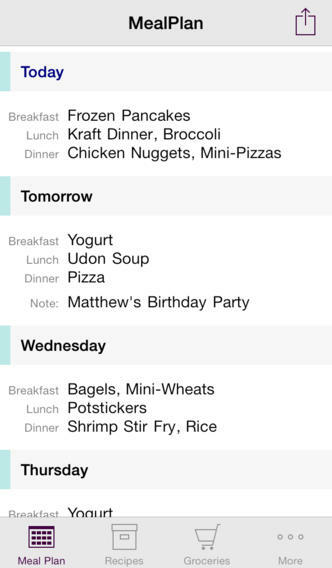 The aptly named meal and grocery planner app MealPlan has just been updated to version 2.0.